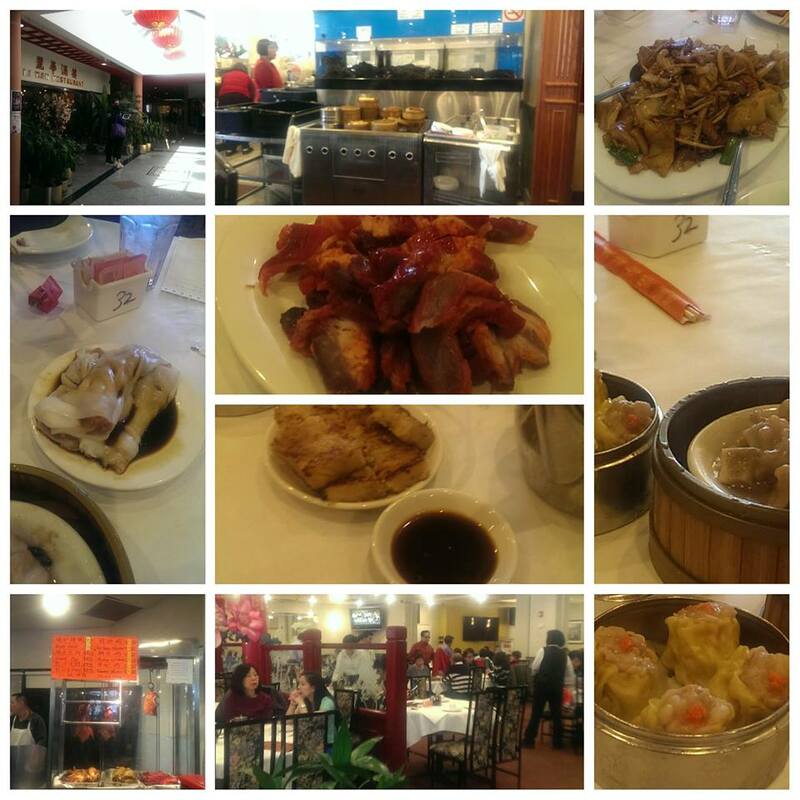 My friends and I did a dim sum crawl yesterday. I got the idea from a blog post describing a dim sum crawl in the San Gabriel Valley. The original plan was to hit all four restaurants that serve dim sum here in Cleveland – Emperor’s Palace, Li Wah, E. 30th Street Cafe, and Bo Loong – but we only made it to two of them before we cried ‘uncle.’ I can’t just order two things at a dim sum place. There is too much deliciousness. Everyone brought cash, and we carpooled and left four cars in Emperor’s Palace’s spacious parking lot since parking can be tight at Li Wah. We could have walked, but Bo Loong is a bit too far from the other places. The first stop was at Emperor’s Palace. We met there at 11:30, because I wanted to order the Shanghai juicy buns and I know they run out early. 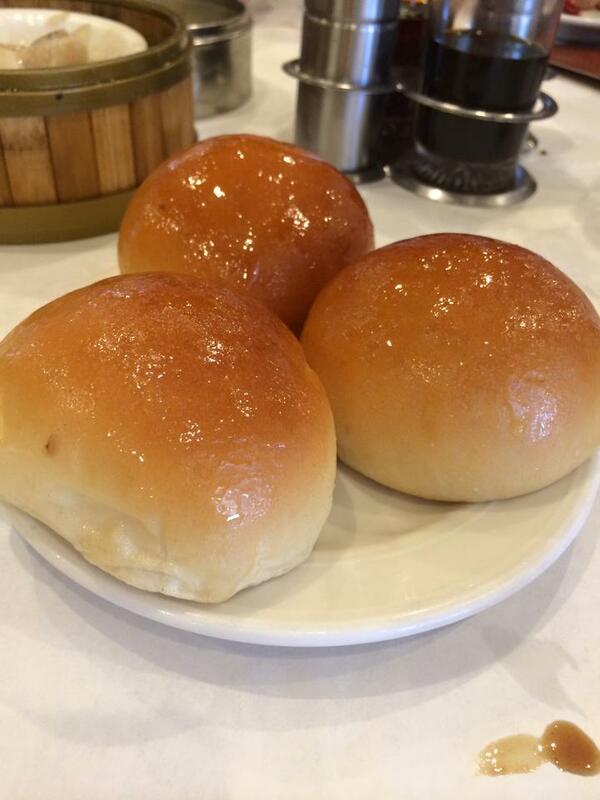 Shanghai juicy buns (or xiao long bao) are a steamed dumpling commonly called soup buns because they are filled with pork and broth. The characteristic soup-filled buns are created by wrapping solid meat aspic inside the skin alongside the meat filling. Heat from steaming then melts the gelatin-gelled aspic into soup. Also on the menu were tofu skin rolls, egg custard buns, pumpkin cakes and their absolute stand-outs – shrimp dumplings (har gow) and turnip cake (law bok gow). Since we needed to save room we didn’t order some of my other favorites, but that’s okay. I go there enough to satisfy my cravings. Our bill, split among six diners, was $29.95 – which amounted to $6 per person including tax and gratuity. Our second stop was Li Wah. There are two completely different kinds of energy at these two restaurants. Emperor’s Palace is more laid back and relaxed. The food is ordered from the photo-filled menu and prepared fresh. The dishes are served as they are ready. Li Wah was packed with diners and we had food on the table within a minute of sitting down. In fact, we were still getting our plates and chopsticks and our water glasses filled as the first cart stopped. We ordered in a blur. The choices we enjoyed at Li Wah included shu mei, spare ribs in black bean sauce, roast BBQ pork, turnip cake (Li Wah’s is softer and creamier than Emperor’s Palace, but the unanimous verdict was that Emperor’s Palace’s cake had the edge flavor-wise), baked BBQ pork buns, beef ho fun, and steamed rice crepes with ground beef. We wanted to get a roasted meat because Li Wah has outstanding roasted meat, some of which are hanging in a cart near the entrance. 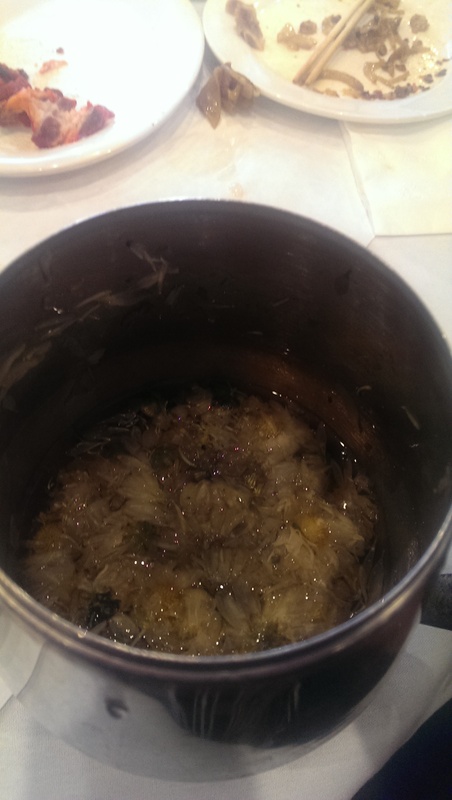 We also enjoyed a lovely chrysanthemum tea with real chrysanthemum petals steeping in the water (see photo below). Our bill here came to $44.25 – or $9 a person including tax and tip. At this point we decided we were too full to continue our crawl. 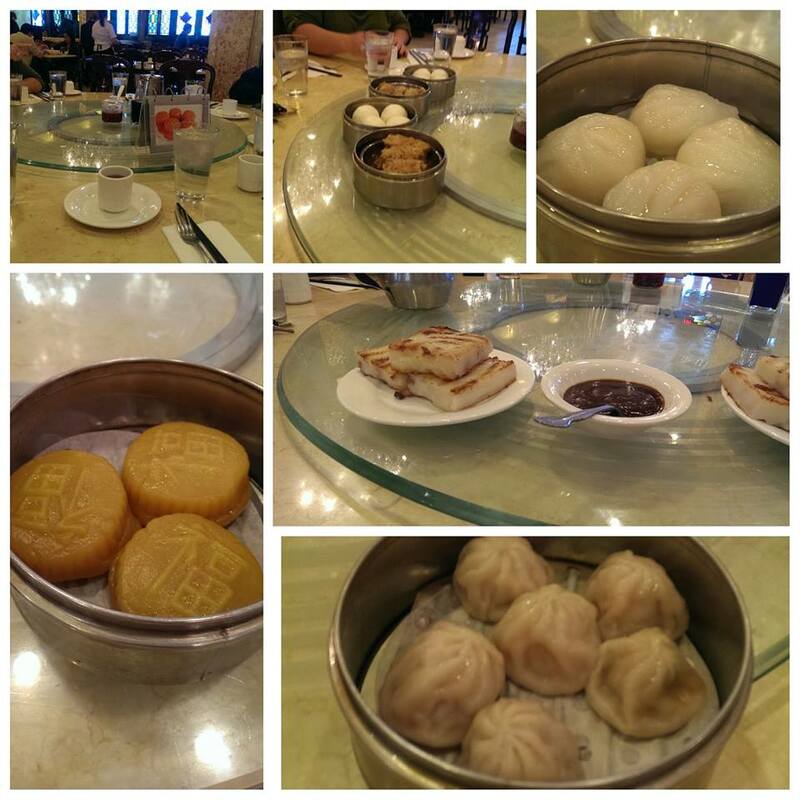 We decided to do E. 30th Street Cafe (in the same plaza as Li Wah) and Bo Loong another day. 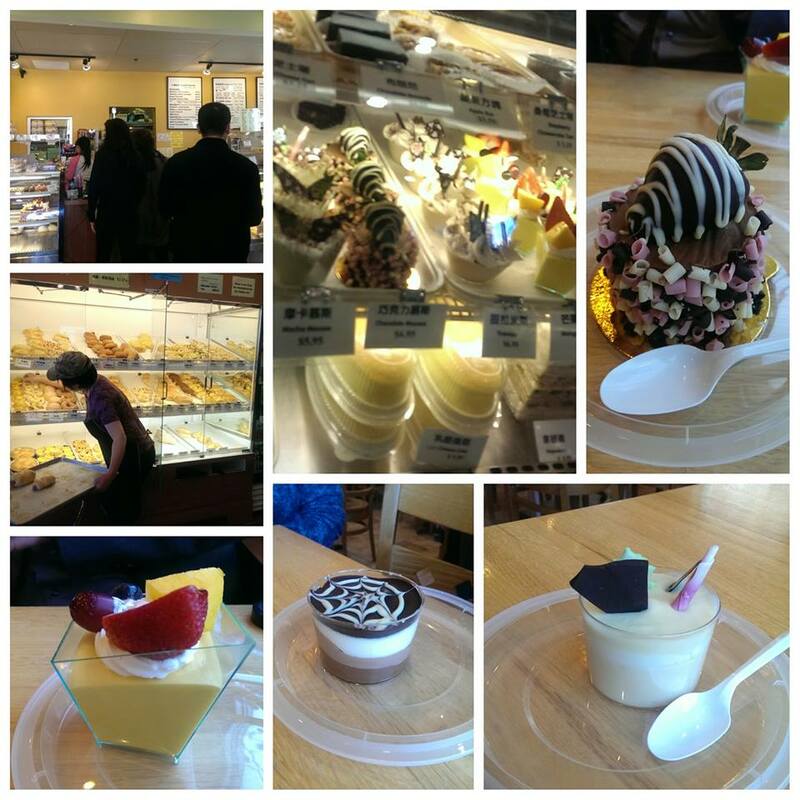 Instead, we headed to Koko Bakery for something sweet. Koko has something for everyone – cream buns, savory buns, hot dogs wrapped in pastry dough, soup, sandwiches, rice bowls, salads, chocolate covered strawberries, mousse, tarts, brownies, cakes, tiramisu, shaved ice, coffee, tea, smoothies, and bubble tea. The cases are a feast for the senses. I opted for a chocolate mousse topped with a chocolate covered strawberry. My friends ordered mango mousse, passionfruit mousse, triple chocolate mousse, a green tea bun and a sponge cake with almonds. Everyone left happy. If you want to try something different on a Saturday or Sunday consider doing a dim sum crawl with some friends and enjoy some new flavors. Feel free to use some of these suggestions or branch out on your own. We didn’t do as much shrimp because we had someone with a shellfish allergy with us. I tried to order one piece for each person and took the allergy into consideration when ordering – an extra egg custard bun or beef something for her while some got to enjoy two shu mei or shrimp dumplings. We split several choices in half at Li Wah because we were getting full. There are no rules other than enjoy yourself, gorge on dim sum, and drink lots of tea. Oh, and bring cash. Preferably in small bills. It makes life easier. What a fun concept! I’ve only been to Li Wah. 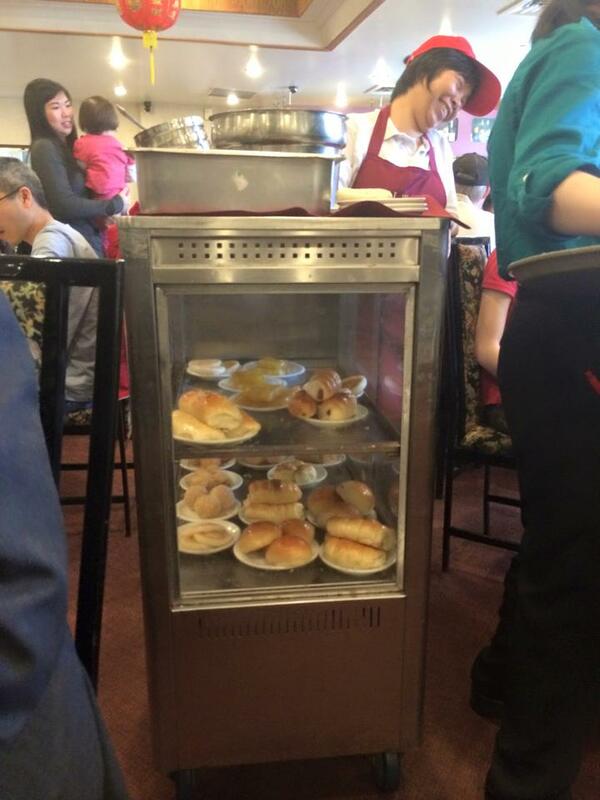 Thanks for writing about dim sum in CLE! I have been to Li Wah twice, and enjoyed both trips, although it is a little fast as you mentioned. I don’t know what anything is called, so it’s somewhat of a struggle other than pointing to items on the cart =) Still fun though. I used to go with “experienced dim sum connoisseurs” when I lived in San Diego….but now I’m the expert?! Eventually I’ll have to branch out to Emperor’s Palace, although I do think the carts are part of the fun. And Koko will definitely be visited next trip. Thanks again!!! My friend who speaks Chinese usually just points too. I’ll eat any of it except chicken feet. Been there, done that. No need to repeat it. Not crazy about the fried taro but I’ll eat it. Bo Loong did do a fairly good job explaining what each dish was. Just experiment until you find what you like. There’s a local dim sum group on Facebook (https://www.facebook.com/groups/249426735126845/) that usually meets twice a year. They get a big group of strangers together and pretty much order everything on the menu. You should check them out.